What's Drawing Hoosiers To The Polls? 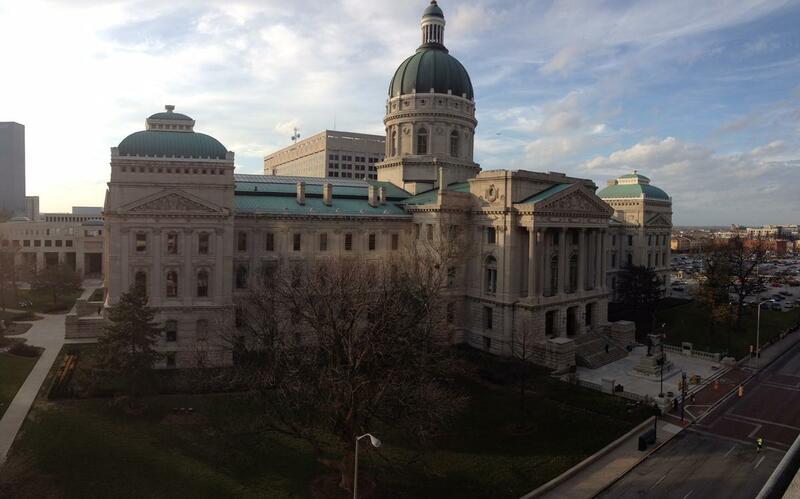 Some of Indiana's midterm races are making national headlines because of how they could shape Congress. 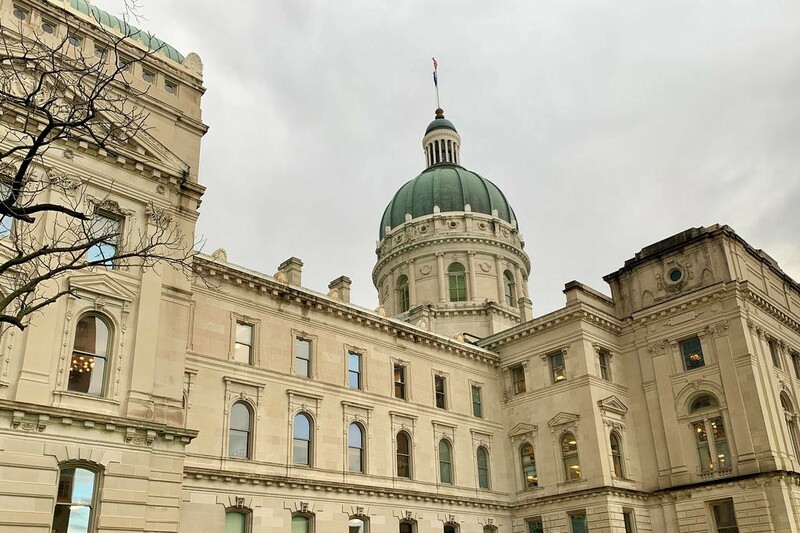 While the country may be watching to see who wins Indiana's U.S. Senate seat, there are several other races drawing Hoosiers to the polls. We visited the counties with the highest and lowest voter turnout in 2016 to see what issues matter to locals. Decatur County led Indiana with 71 percent of registered voters going to the polls to cast their votes in the 2016 General Election. The county is seen by many as a Republican stronghold. Three out of every four voters cast their ballots for now-President, Donald Trump. Resident’s support for the President and his agenda hasn’t waned since the 2016 election. Paulene Hurt lives in Decatur County. She says immigration is the most important issue on her mind. "To keep the immigrants where they belong. Mainly because we’ve had so much terrorism and crime and drug--everything," she says. "That’s the most important thing to me right now. Decatur County Clerk Adina Roberts expects a lot of folks like Hurt to be out on Tuesday. "There is a good percentage that will vote early, but I’d say most of them wait to go on Election Day," she says, adding voters here are more traditional. "They like to go to their polls and actually go on Election Day. I assume those totals are going to be pretty high again this time around." Decatur County has fewer than 27,000 residents. That creates an interesting dynamic where political opponents run into each other around town at the grocery store or church. For the major party chairman in Decatur County, the tight-knit-nature is even more apparent. Nate Harter heads the local Republican Party and Henry Martin is the Democratic Party chairman. They’re next door neighbors. "At the end of the day, I still take my dogs to see ... Veterinarian Henry Martin, who’s been my neighbor forever," he says. "That has nothing to do with politics. Our viewpoints don’t taint that or interfere with our ability to be part of a community." "We’ve known Nate since he was a little kid," he says. "I think it’s kind of fun. At least we know two people who aren’t afraid to discuss politics. Some people would shy away or not want to discuss it on the street, but we can always talk about it across the street." They say while social media and divisive rhetoric can drive a wedge between people, here at home things are just different. Both attribute high voter turnout to engagement and good candidates. Going door to door and making personal connections with voters matters here. It’s a different way of campaigning. 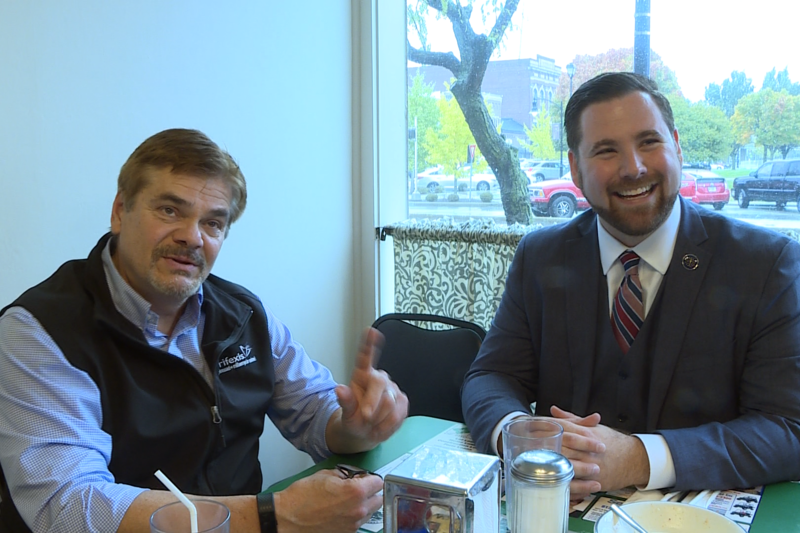 "I think the people of Decatur County are going to be well served by having an engaged electorate and good candidates," Harter says. "At the end of the day, life will go on," Martin says. "We will be well served with either of these candidates, so it’s not like it is the end of the world if someone were to win. We’d like to see our side win, but you know..."
"We feel the same way," Harter chimes in. Will Scott County Turnout Increase? Early voting is underway at the Scott County courthouse, but few of the people coming in and out of the building are here to cast a ballot. Scott County native Billy Judge had other business at the courthouse, and he doesn't know if he'll be back to vote. That's unusual, because he almost always participates in elections. But, he says he no longer trusts politicians. "They’re all the same," Judge says. "I personally wouldn’t give any of them the time of day because I think they deceive the people in any which way they can so they can get in office." 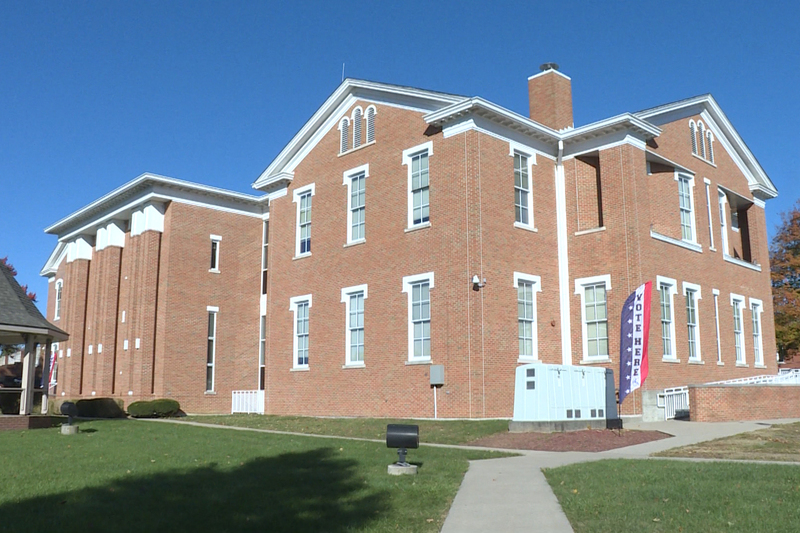 Only 47 percent of registered voters in Scott County turned out in 2016 (Barbara Brosher, WFIU/WTIU News). Scott County leans Democrat, although it went for Trump and several other Republicans in 2016. It’s a rural area, which is most well-known for an HIV outbreak that plagued the small town of Austin a few years ago. But, that public health crisis doesn’t come up at all when you ask people what’s influencing their votes. Judge says what he cares about isn’t on most candidates’ radars. "I don’t see much help out of any politician for things that can be done to help seniors," he says. We talked to a lot of people in Scott County, but many of them didn’t want to do interviews. One woman says border security is what she’s most concerned about. Another resident says he’s happy about the state of the economy, and worried any democrats who are elected could ruin it. But, most of the people who stopped to talk to us on the courthouse square say they’ve never voted, and they don’t plan to start this year. 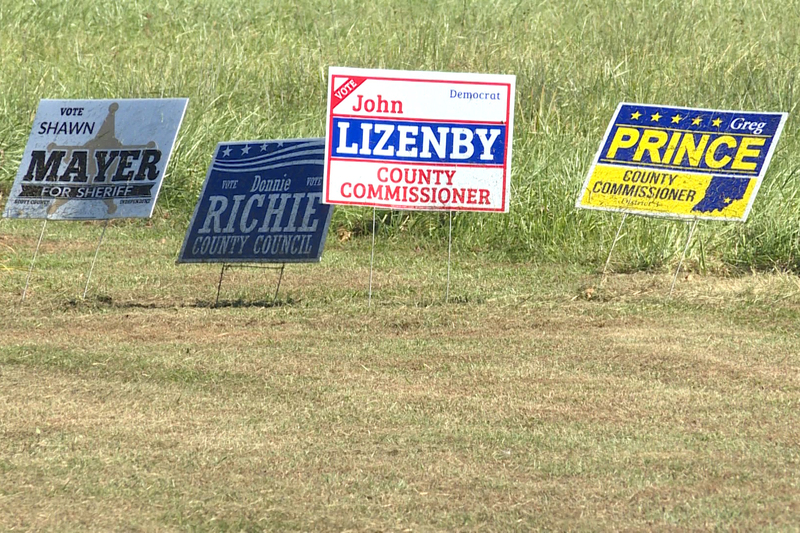 Campaign signs are one of the first things you see when you enter the small town of Austin (Barbara Brosher, WFIU/WTIU News). "I think the biggest thing we have is just voter apathy," says Denny Wilson, Scott County Democratic Party Chair. In addition to heading the local democratic party, Wilson is a farmer. There's one issue that's at the top of his mind heading into the election: tariffs. "I lost about $20,000, is what it cost me," he says. "That $20,000 comes in handy to pad my retirement account a little bit, to pay extra bills." 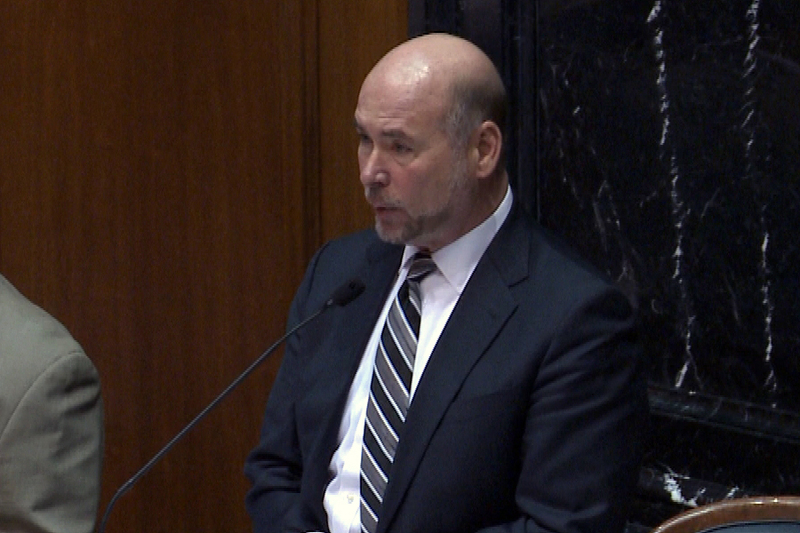 While he’s heavily engaged in politics, Wilson says sparring between candidates in competitive races, like the one for U.S. Senate, turns a lot of potential voters off. "We'd all like to see a better, more friendly campaign run," he says. "But, with all the money involved and the Senate hanging in the balance with basically two votes either way, it didn't stay a friendly battle very long." Wilson says most Scott County residents are more interested in local races, like those for commissioner and sheriff. But, it’s unclear if that’s enough to draw them to the polls. Only 47 percent of registered voters turned out in 2016. If attitudes about this year’s election are any indication, the year’s numbers may not be any better. Judge says he's lost faith in American politics. "It’s got to get better surely," he says. "It can’t keep going this way. We’re on a self-destruct pattern." We reached out to the Scott County Republican party several times for interviews, but they did not respond to our requests.